Has anyone PlastiDip'd their car? I've seen emblems, but today is the first time I've seen a whole car. I'd have thought someone around here would have given this a shot. I've seen several white GTI's with black roofs, seems most go vinyl. This looks like a good DIY alternative. I actually dig this! This is something good for beginners that want to paint their car and you don't have to worry about cutting corners. A lot of what he does on their would not fly on a real paint job. Including his the way he sprays. I am actually thinking about doing this now. Only thing is, can it be clear coated and how long does it last before having to do it again. Is the price worth it in the long run to keep having to do it over and over compared to an actual paint job? Now to do something quick and easy one time till you can afford an actual paint job I think is a good idea. What gets me is how easy it comes off the windows and lights. If it's that easy to peel off then how would it actually hold up in driving conditions and weather? A lot of questions still about this but I'll look more into it and if I find the benefits of actually doing this is good then I'll do it . Oh wow they got a pretty good selection of colors and all you get for the complete car kit for 265 plus shipping is a pretty good deal. you get the sprayer, 3 gallons of your choice of color and even the masking tape! 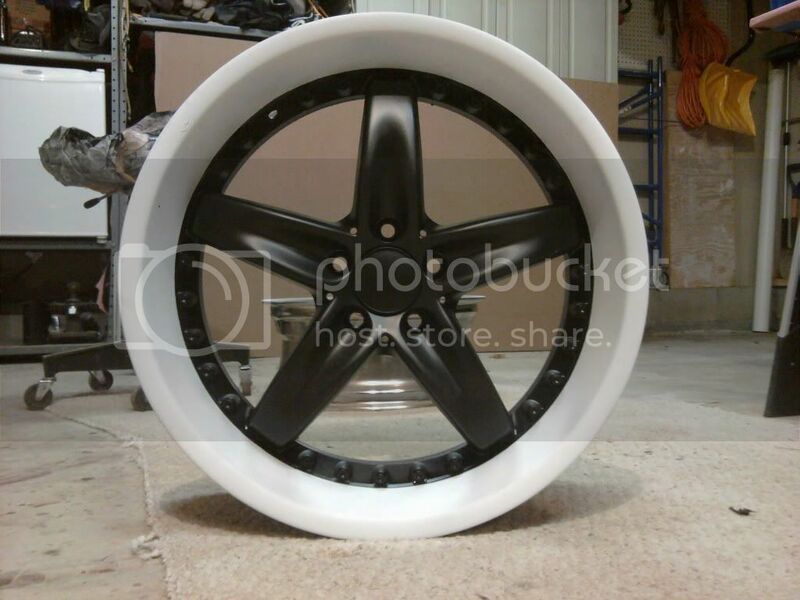 Yeah give me about 3 more weeks, I'll order it and try it out on the supra. It needs a paint job anyways so it isn't like it will hurt nothing . Yep, my wrangler is a good candidate for this as well. Hell, I was going to bomb it with krylon, this is even better. The fact that it peels off is the big draw, and apparently it can last quite a while. Yeah and for 265 bucks you can't go wrong with it either. What would be cool is get the red and actually make it run like blood lol. 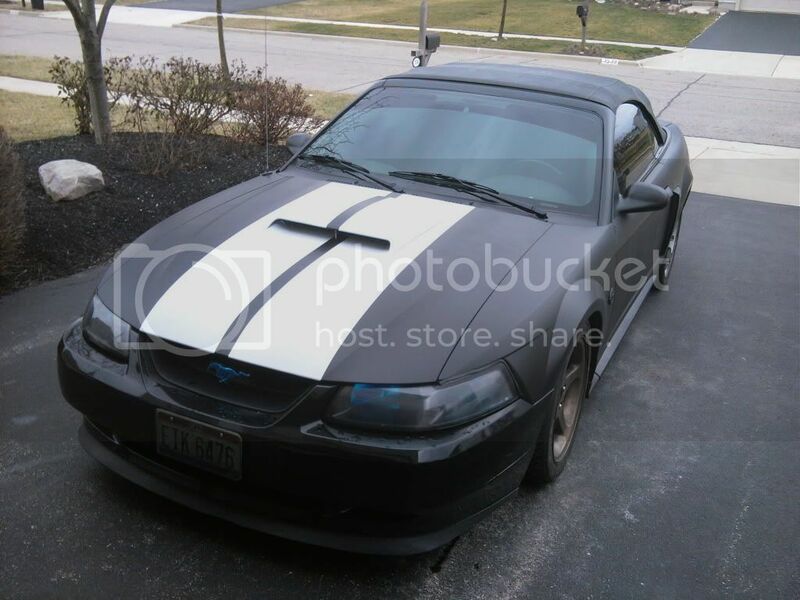 There is a mustang in another forum that did his car and wheels. Very interesting. I've seen this product on wheels, but didn't think it would last very long. But $265 is the cheapest 'paint job' anyone will ever find. If you try it out, post a bunch of pics here! That is for sure man. I won't be able to next week cause I already had planed on getting my exhaust done. So 2 weeks from then I'll get it. That way it should also be a little warmer and I'll get pics of the progress and finished product. Looked like he had it completely finished in less then a day so hopefully I can have the same time frame . This has been gaining popularity for a while in the DSM world. I've been holding off until they had more colors available. I think I may have to do this with my car but I'd really like to see pics of the various colors other than Red/White/Black. I am leaning towards green. But no pics up on that site yet. He just got a new hood so he is changing it up. Wow, such intricate carvings. Reminds me of a artform process called 'scratch art' where we put down a heavy layer of crayon on a heavy piece of paper and then painted india ink on it until it dried. Then we used small 'scratch pens' to scratch off the paint in areas like a pen, and the colors of crayon layer would so through. 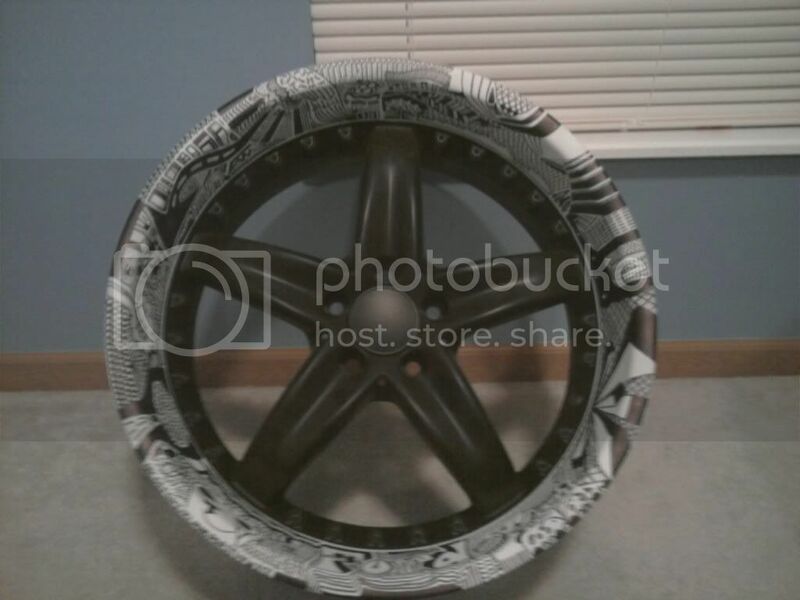 After seeing what people are doing with this, I think this plastidip process is going to become a really neat canvas in the artistic side of customization. Thats actually sharpie, I should have mentioned that. But the white and black is plastidip. Last edited by Ba Mustang; February 19th at 10:07 PM. Ahh, makes more sense since I couldn't really figure out why the dark spots on the hood didn't reflect like the hood. 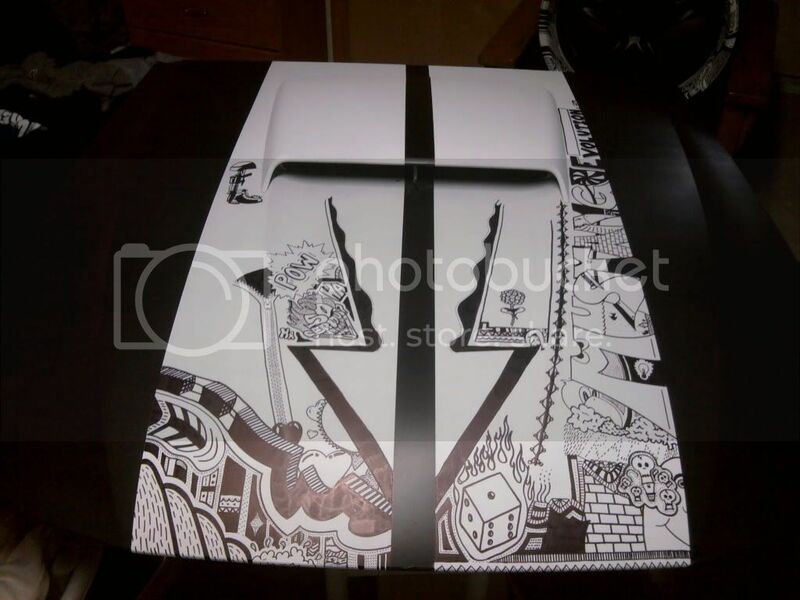 I seen a magazine a few years back that had a BMW a guy had used like 10k sharpies or something like that and did the whole car. I was like how do you keep that from washing off in the rain, clear coat? I wander if you can us 2 different colors of the plastidip. I'm wanting to go 2 tone but not sure how well that will work. There was a lambos that was also done with sharpies awhile back. One of the local guys (Mark) with a black wingless Supra plasti dipped his wheels. They turned out really good, too. The quality of that finish can be achieved for much cheaper. I sprayed my budget project Talon with a satin black water-based paint. Same results for $20. Can that paint be scratched off if you want to go back to the original finish, though? I think I know that Supra. I like the way he left the studs on the wheel stock color. That's the real advantage of this process.